Well, it’s going slightly slower than I had expected, but I’m on the right track. Since January 1, I’ve lost 9 of the 20 lbs I’ve been aiming to shed, and aside from giving up butter chicken and occasionally having to force myself to go to the gym after a ten- or twelve-hour day at work, it’s really hasn’t been too hard. 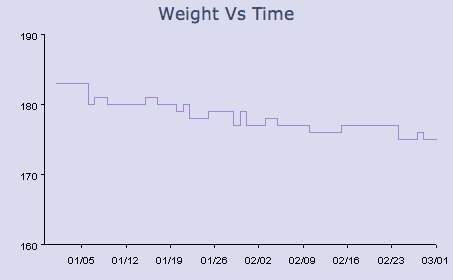 Hopefully, by the end of March, I’ll be down to 170 lbs, at which point, I think the self-experiments will start. As for my other resolution, to improve my guitar skills: well, I still intend to. One day. Soon… ish.